Before I was deep into RPGs, comic books and superheroes were my first love. When I spoke with David Silva about his Kickstarter for Metahumans Rising RPG Redux, I realized we had that in common as well as a number of years living in metro Atlanta (though we never met while we lived in the same state, but RPGs eventually brought us together). He agreed to answer my questions about his Kickstarter and his company, House Dok Productions, so let’s dive in. EGG EMBRY – Thanks for taking the time to answer some of my questions, Dave. Your Kickstarter for your game, Metahumans Rising RPG Redux, is running right now, let’s start with what it’s about? DAVE SILVA – Metahumans Rising is a tabletop RPG inspired the superhero genre. 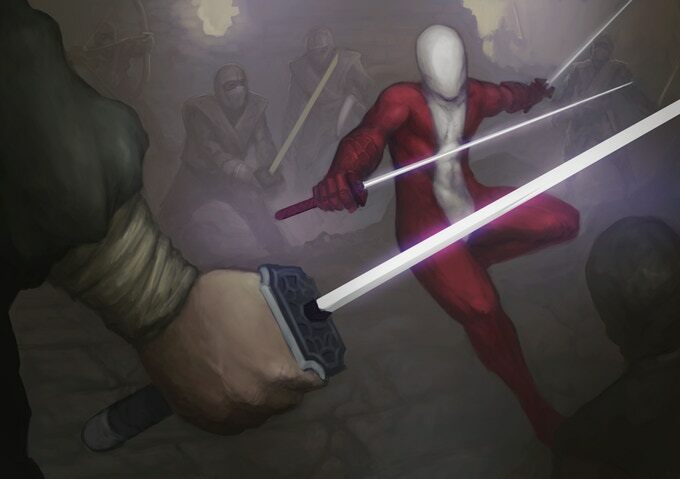 Our tagline, bringing the drama, action, and creativity of the superhero genre to your game table is really our goal. From the beginning, we wanted people to feel like they are in a comic book, to feel like they are superheroes. EGG – Will this use your Open Action System or another engine? What makes this the ideal system for the setting? DAVE SILVA – Sort of, it’s safe to say there have been a lot of changes since Fractured Kingdom. The design goals were drastically different and that meant reevaluating everything we did previously. The Open Action System was rebuilt from the ground up. The three major aspects of this process focused on fast game play, player agency, and removing constraints on creativity. EGG – The title of the project includes “Redux”, what is that in reference to? 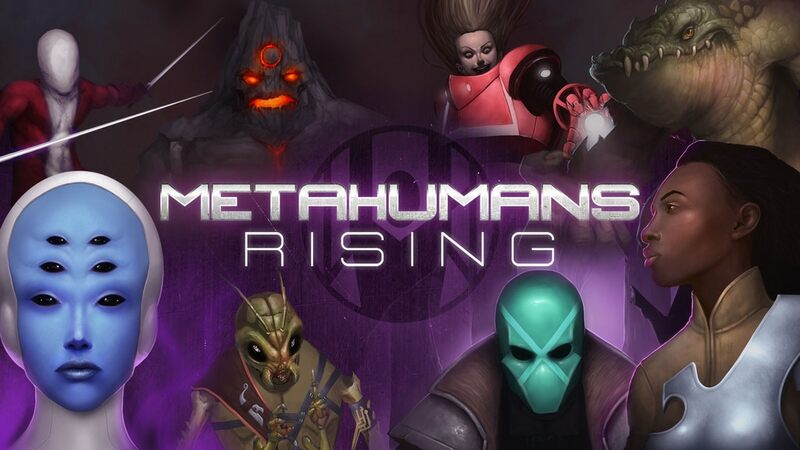 DAVE SILVA – To be blunt, this is the second Kickstarter for Metahumans Rising. Our first time up things didn’t go so well. This meant a lot of looking at missteps and what we could do better. This led to additional playtesting, looking for ways to streamline game play, and finding ways to reinforce the design goals we originally laid out. 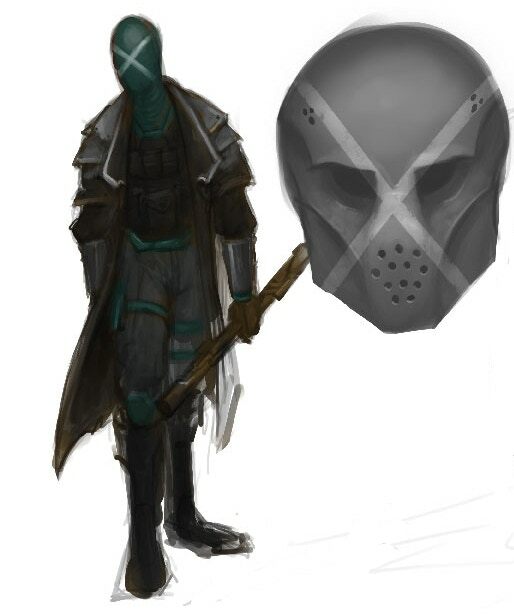 EGG – As the publisher, can you highlight one pledge level/backer reward that you think is the standout for Metahumans Rising RPG Redux? DAVE SILVA – This really has to be the Hall of Legends. Backers can submit a unique character to be included in the core book with fully illustrated design by Jake Perez. On top of that, they receive four poster quality images with their physical copy. Guardian – Granddaughter of the World War II hero American Steel, she carries on his legacy. 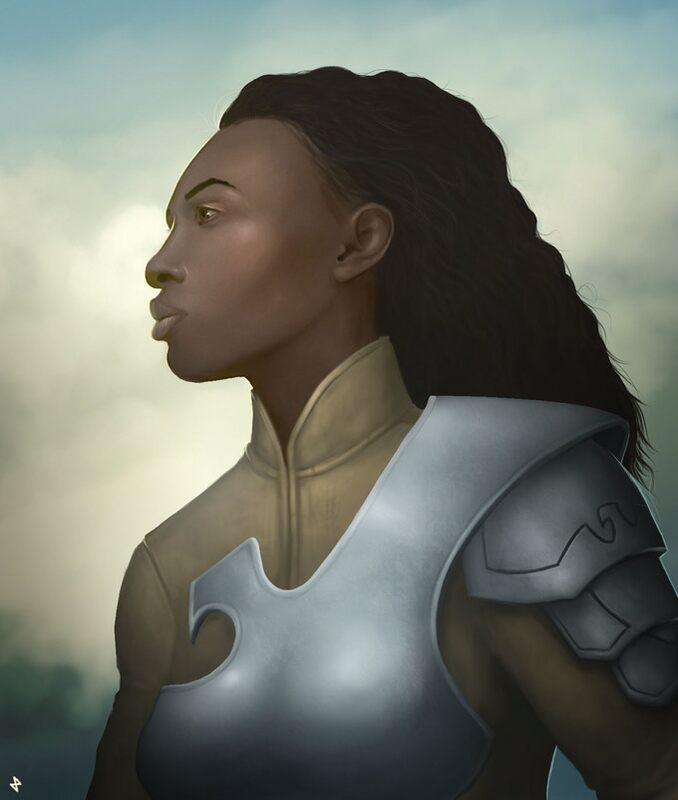 EGG – One of the pledge levels – Member of the Hall of Legends – allows the backer to create an original NPC for Metahumans Rising. Beyond the system rules, will there be any guidelines or limits as to what the backers can create? DAVE SILVA – One of the main strengths of Metahumans Rising is the ability to bring characters to life without getting bogged down. Powers are built using descriptive keywords so it’s not what you might picture as a point buy. The only guidelines are focused on avoiding common Lines and Veils. Concept wise, the gloves are off, we fully expect everything from pulp age crime fighters to beings of phenomenal cosmic power. To help avoid tonal whiplash, we plan on including a recommended Campaign Scope for these characters. This functions more like a guideline for people interested in introducing these characters into their personal games. Is your Hall of Legends character from the Silver age or Dark Age inspired? Are they intended for a gonzo style game, something deeply introspective and philosophical, or just classic high action? These are the kind of questions players and GM’s answer at the start of their campaigns. So, it feels fitting to include that with our Hall of Legends characters. EGG – This project shows a lot of love for costumed superheroes, what’s the most memorable superhero story you’ve ever read/seen/played? DAVE SILVA – There are so many ways to answer this question. There are some key pieces of comic book literature that I think everyone should probably read. If I were to avoid the works Alan Moore though, I think there were some amazing stories that came out of the Chris Claremont era of X-Men. It would probably be too long a conversation to discuss the repercussions of the original Infinity Gauntlet storyline, but I’ve always thought that would have been a great send-off for a lot of characters. As far as superhero games I’ve played in, there have been quite a few. There is one game I wish I’d had a chance to play. At DragonCon, in Atlanta, there was someone running a game of Mad Lib superheroes. This was a game that always seems like a ton of fun but was always full. As a small aside, one of my friends growing up and I used to have a great time just grabbing two handfuls of 10-sided dice dropping them on the table and seeing what character for TSR’s Marvel superheroes came out. You should try it, it’s a great creative writing exercise. 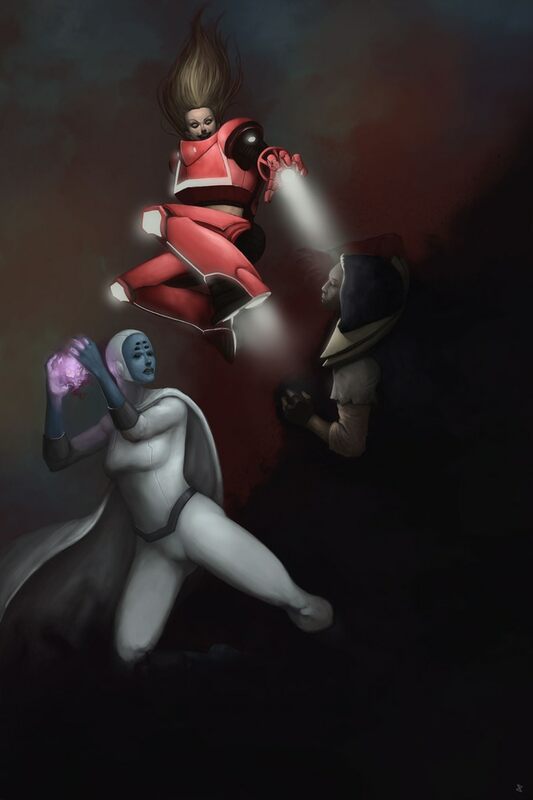 Nox and Elf battle the lethal diva Luminescence. DAVE SILVA – I was hooked right from the beginning. My first experience with a formal role playing game would be red box Dungeons & Dragons. There were three of us learning to play at the same time. Because our only experience prior to this had been board games I can’t tell you how many times over the course of a summer we played through the first dungeon they included, only to die in the second, then roll a new character and start all over. Because of D&D’s modules, it wasn’t until Cyberpunk 2020 was released that we really begin building our own worlds. From there, things really expanded into any game we could get our hands on to try. EGG – Why did you create your gaming company, House Dok Productions? DAVE SILVA – Ultimately, I think the answer is because of the freedom to write the games and the stories I wanted to see. To see if I could take all the different components it requires to make a game and see if I could bring those together. Ronin tests the Law of Conservation of Ninjutsu. EGG – As a Kickstarter veteran, what have you learned from your prior gaming Kickstarters? DAVE SILVA – Cultivate your supporters. Figure out who your Advocates are and make sure that you support them as best you can. When you’re ready to launch your Kickstarter be honest with yourself, figure out what the numbers really are for what you need to complete your project. If you do have a project that falls short don’t let it discourage you. Learn everything you can from the experience. Take away the positives and see if you can’t correct the things that didn’t work, so that you can come back stronger in your next Kickstarter. DAVE SILVA – Right now all of our energy is directed at Metahumans Rising and making it as successful as possible. We have World Book 1 which expands on the setting provided in the GM’s chapter. The core book includes an introductory adventure. We’re also working on three additional adventures, the Dragon Abacus, Projekt Genesis, and the Cape Sanctions. Each Adventure focuses on a different villain group and helping to expand the world, from the criminal underworld if the Dragon Abacus, to the literal underworld carved out by Nazi holdouts, the Eisenreich in Projekt Genesis. Down the road, depending on how things go there may be another project but it’s a little bit too soon to start talking about that one. EGG – Any parting thoughts? Where can we find out more about House Dok Productions? DAVE SILVA – Over the coming weeks expect to see additional updates. At least one more development diary along with details on other members of the Steel Aces, and details around the infamous Chimera. 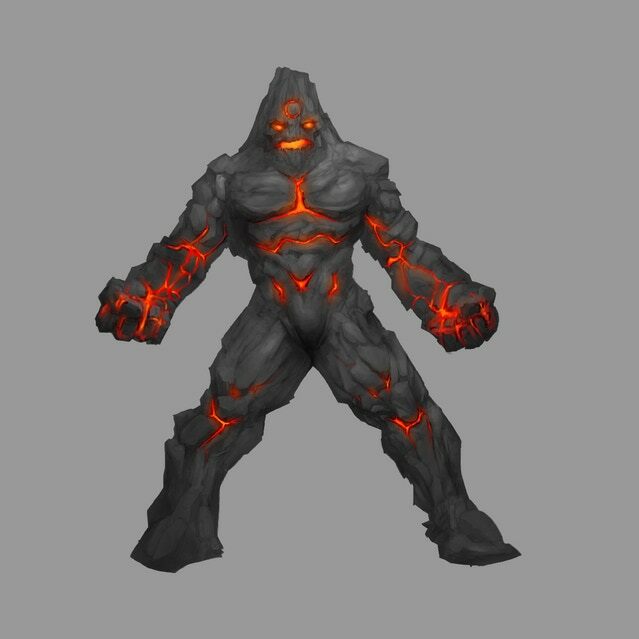 There may also be some additional surprises along the way. With the fan support, we can really develop the universe of Metahumans Rising and bring an exciting new addition to all the fans of superheroes in role-playing. If you want to find out more about House Dok our website is www.HouseDok.com. 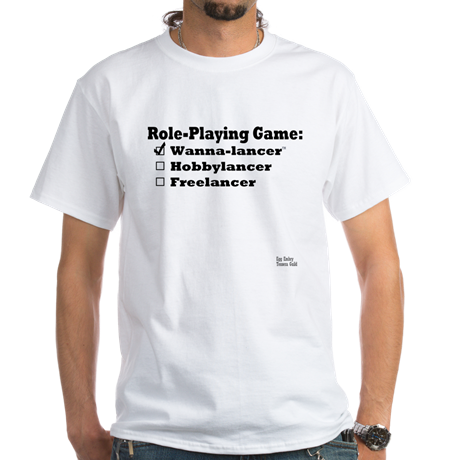 Tagged Dave Silva, House Dok Productions, Kickstarter, Metahumans Rising RPG.